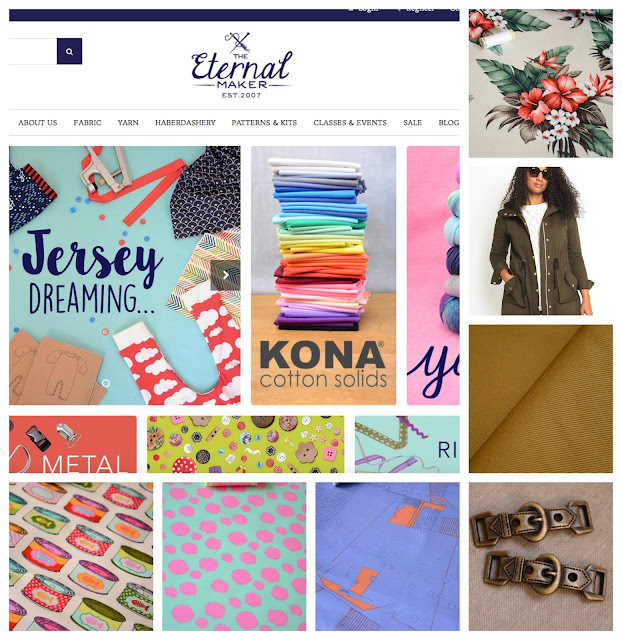 The big news for my longtime sponsor Eternal Maker this month is an all-singing, all-dancing website. It's only just gone live so there still might be a few kinks to iron out but so far, I've found lots of handy features including a super fast Paypal feature as an alternative check out, a double arrow checker to compare product, a heart icon wish list feature (you need to create an account and log in), reviews and much more. Alohoa Barkcloth Sevenberry. 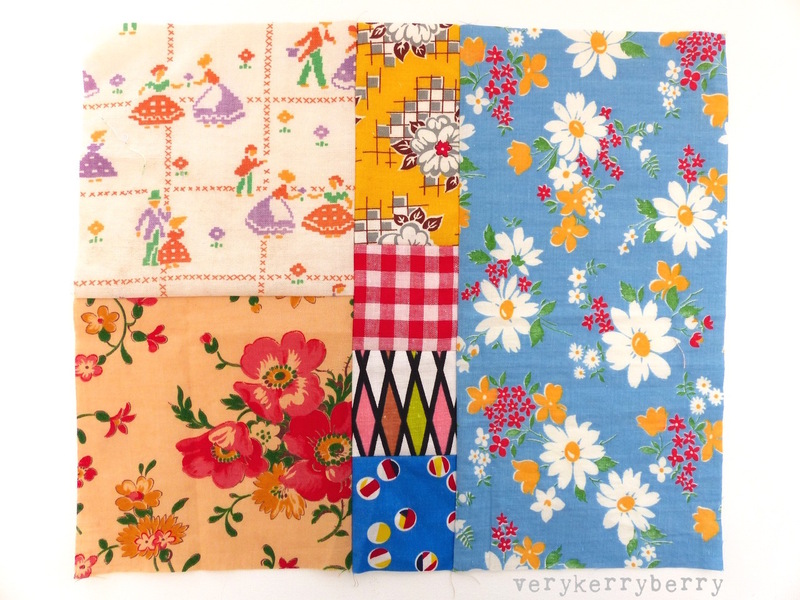 Beautiful large floral vintage style pattern on barkcloth at a great price (£14/M). Works well for clothes with a more structural shape, e.g. Lily Dress by Colette, or Christine Haynes Emery Dress. Kelly Anorak Close Case Files. On trend practical coat pattern with lots of extra details for a professional finish. Perfect for the Sevenberry Twills. Honey Twill Sevenberry. Medium weight twill weave, swatch selection booklet also available. Great for lightweight coats like the Kelly Anorak, skirts, dungarees, bags etc. Brass Buckle Trim. There are now a plethora of bag making and other hardware options on the website including these buckles. You can also find dungaree buckles and coloured rivets. Furballs Tabby Road by Tula Pink. 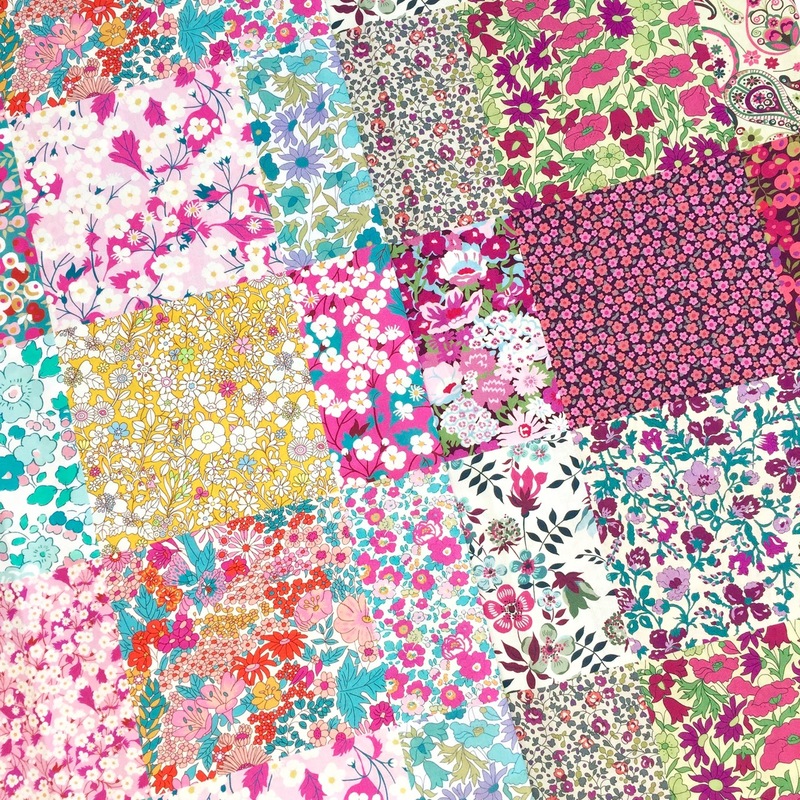 Tula's newest technicolour, cat themed collection on quilting cotton. Cat Snacks in Strawberry Fields Tabby Road by Tula Pink. I've been meaning to make our dog Lottie a new quilt in ages. Her old one, despite repairs has worn through in many places. 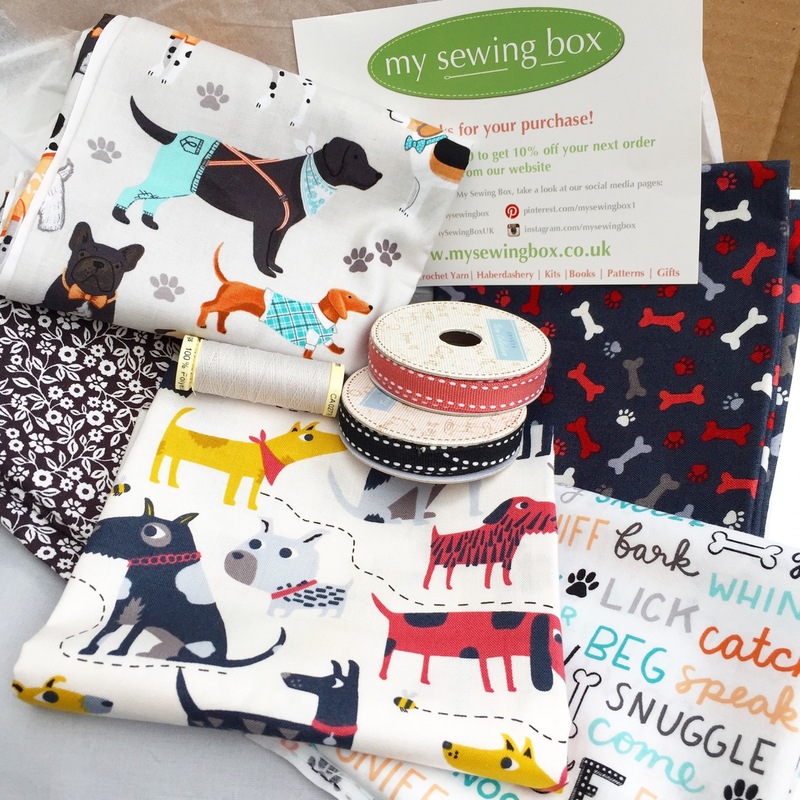 I recently wrote a feature in my Sewing World Final Thread column all about subscription boxes (it's in the current April issue) and Amy and Angela at My Sewing Box kindly sent me a dog themed box as an example of what they put together on their one-off gift boxes. 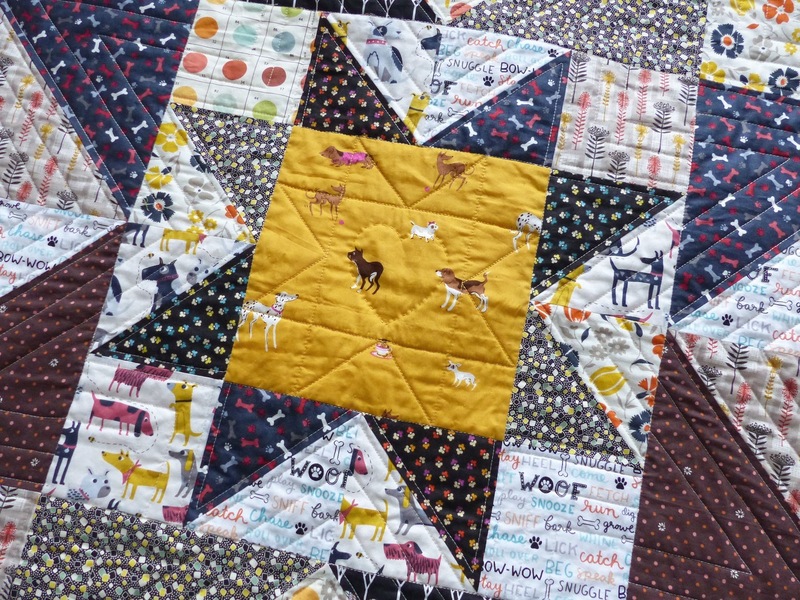 I mixed some of those fabrics with some similar colours from my stash, plus some precious Heather Ross dog fabric, and using a Fancy Tiger Double Star Quilt pattern from a Creative Bug class and stitched her up a little quilt. Simple quick construction. Wide lines of echo quilting, an extra quilted star in the middle and a hand quilting star in Aurifil 12wt in the centre. Finished size of around 40" square. 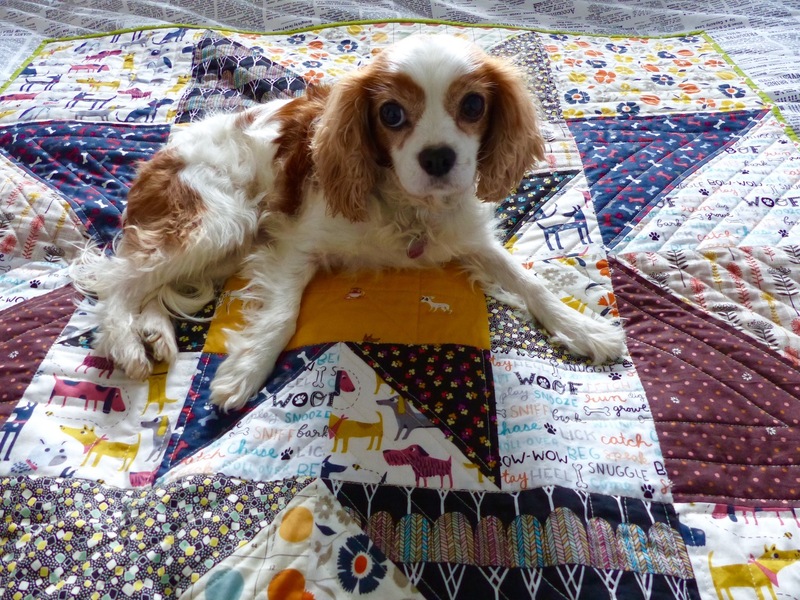 Lottie is very happy with it and quickly identified it as her quilt and I enjoy having her and the quilt sat on my lap. Svetlana from sotakhandmade.blogspot.co.uk recently put a shout out for bag pattern testers on Instagram, I had some lovely linen/cotton blend Maker Maker fabric waiting to become a bag so I jumped in and made the Cora bag, the pattern has now been released! 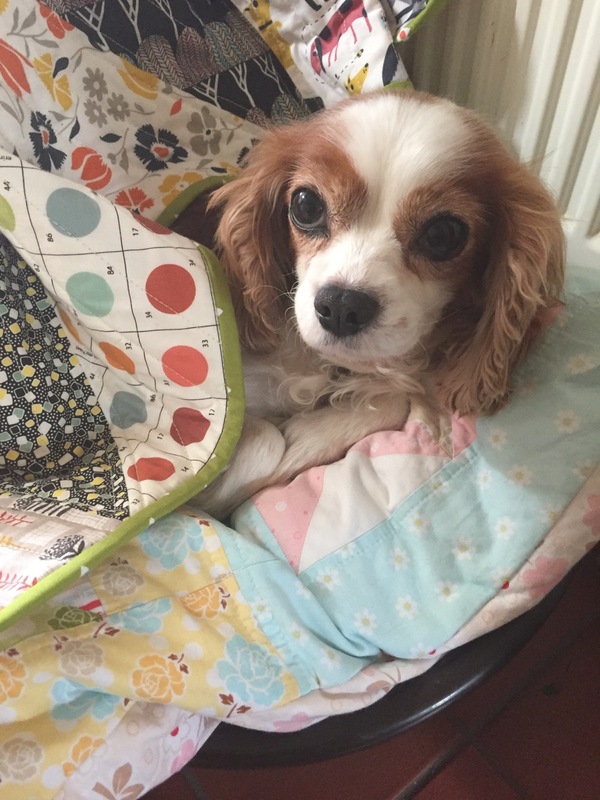 It's an intermediate pattern so you need some bag making experience but it is very straightforward and Svetlana's instructions are thorough with lots of photos. 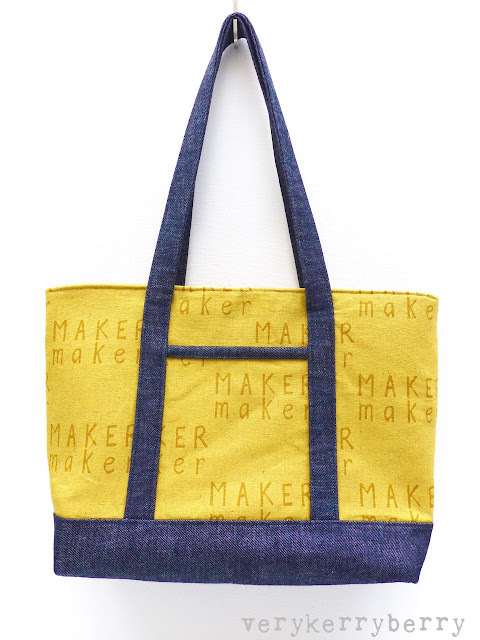 There are no pattern pieces to print, the bag is made of rotary cut shapes. I opted for a snap closure rather than the inset zip. There's interfacing on all the fabrics as well as a layer of foam- soft and stable is suggested but I used Bosal In-R-Form sew-in as it's available in the UK. You need a walking foot and I used a denim needle as I was using heavier fabrics throughout and sewed on my Janome Horizon as it's very good at sewing thick fabrics. 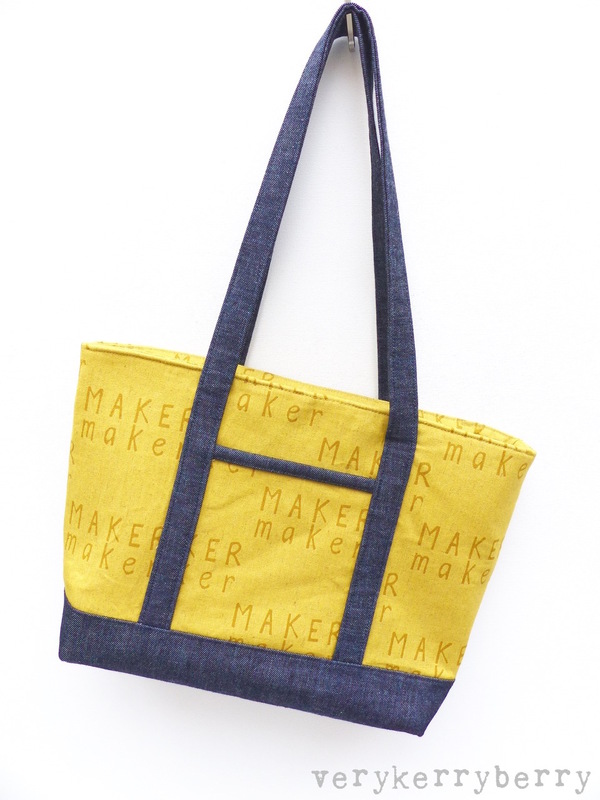 The Maker Maker fabric was from Olive and Flo but is now sold out. Saira had two prints in small quantities so I bought this one quickly as she was told by the rep that it is not being distributed here. Such a shame, it's lovely stuff. I've used the bag a lot already and I love it's bouncy structured feel and relatively simple style - less is more for me with bags. 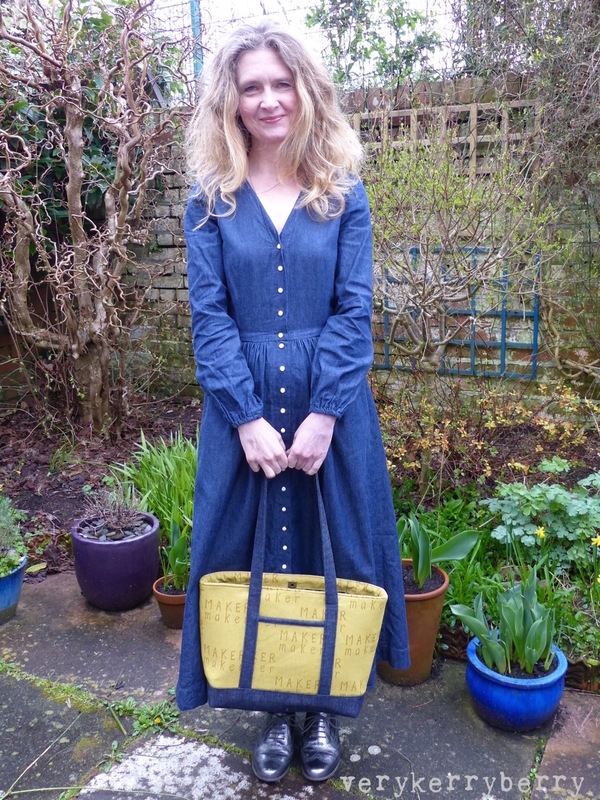 Dress is a recently made Darling Ranges maxi from my #2017makenine , with which I am making good progress! 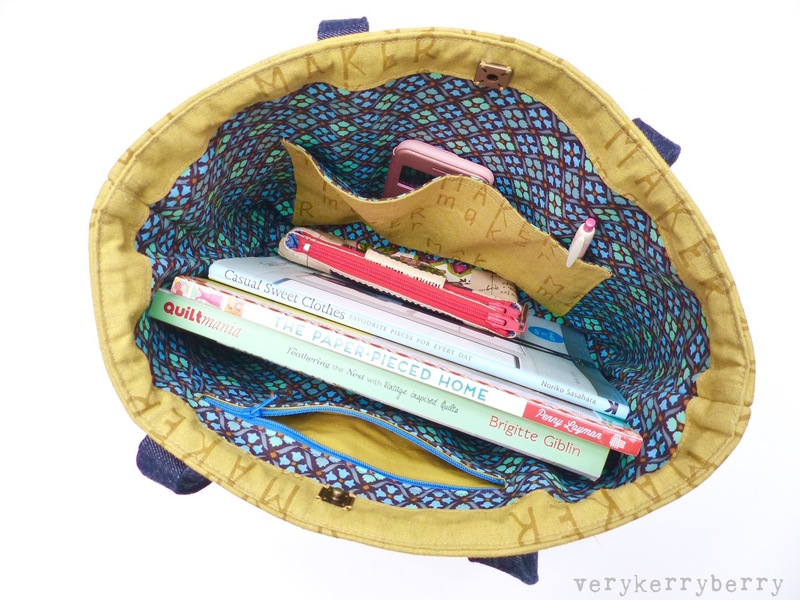 You can see the other tester's bags here, and they are an excellent selection, plus the pattern is on offer for a very brief time! Time to take a look at the latest arrivals at sponsor Plush Addict. For space fans, there are a lot of techy/space inspired prints! Makower Fantasy bundle. 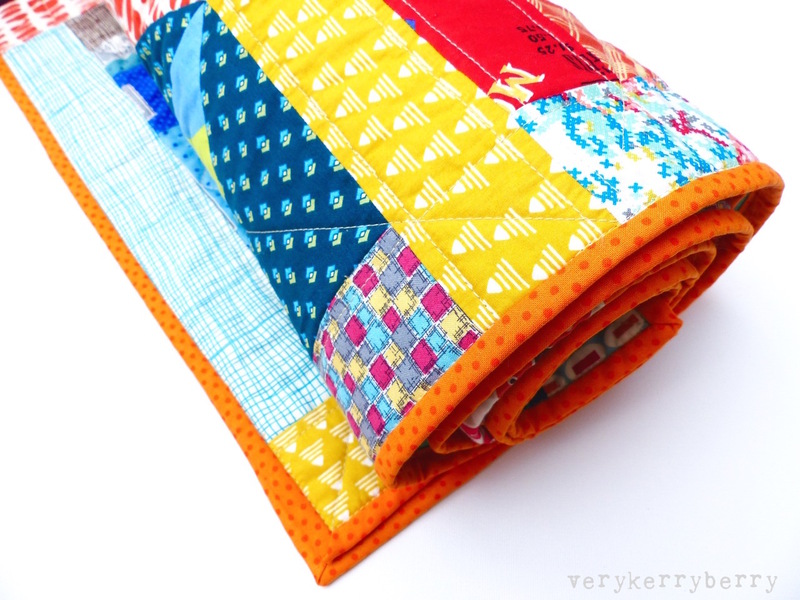 Mix of neon colours, unicorns and rainbows in a bundle of 14 fabrics or individually. Little Darling Cotton Jersey Robots. Very cute robot print on 95% cotton 5% elastane jersey fabric. Makower Galaxy Bundle. 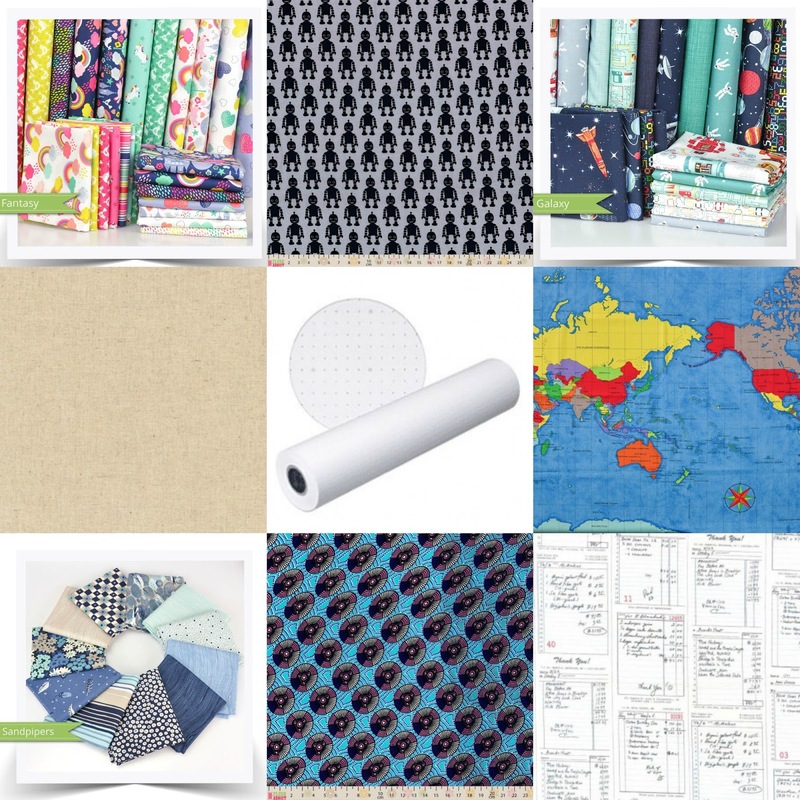 Space, science and technology themed fabric bundle. Also available singularly. 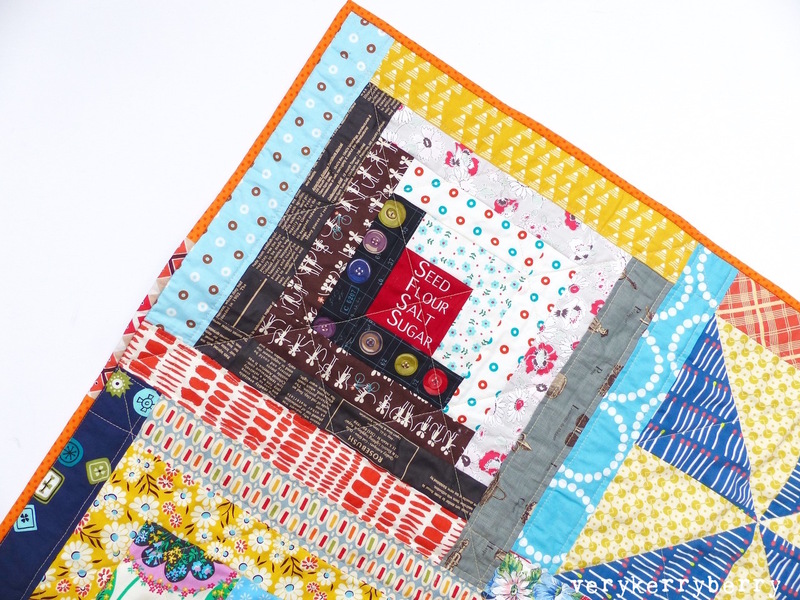 Also available in a brilliant Rocket Quilt kit designed by Lynne Goldsworthy. Dressmaking Numberprint Marker Paper. For pattern drafting a tracing, this paper has blue marks every 20mm. Available in 102cm width and 77cm wide. Michael Miller Sandpiper Bundle. 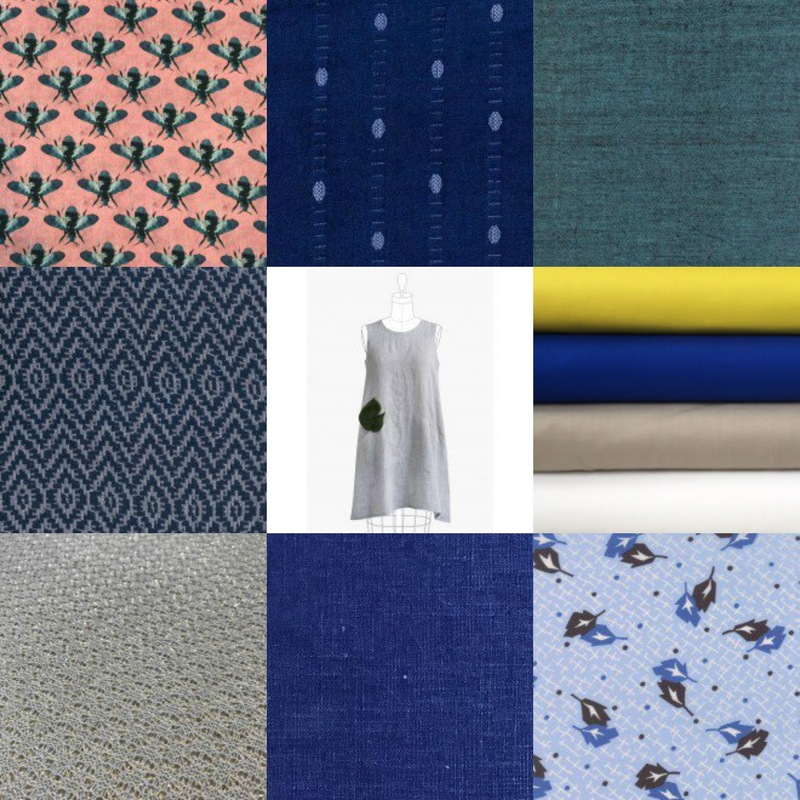 Beautiful seaside colours, nature and geometrics all combine in this print selection. Viscose- Pink/blue/black discs on Aqua. Lightweight drapey fabric for dressmaking. Michael Miller Main Street Shop Receipts. Love this text style print by Patty Sloniger. New Alice Caroline Liberty Lawn, a Snowball Star cushion & a Giveaway! 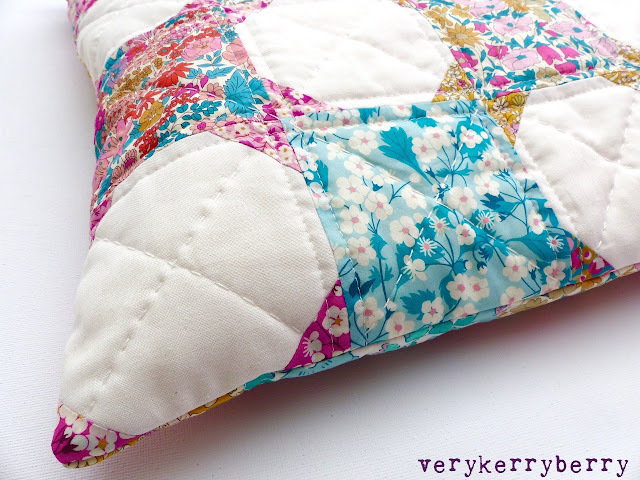 The best way to experience a new fabric is to make something and I knew almost straight away that I wanted to work with the cheater prints and make a snow ball star cushion cover. 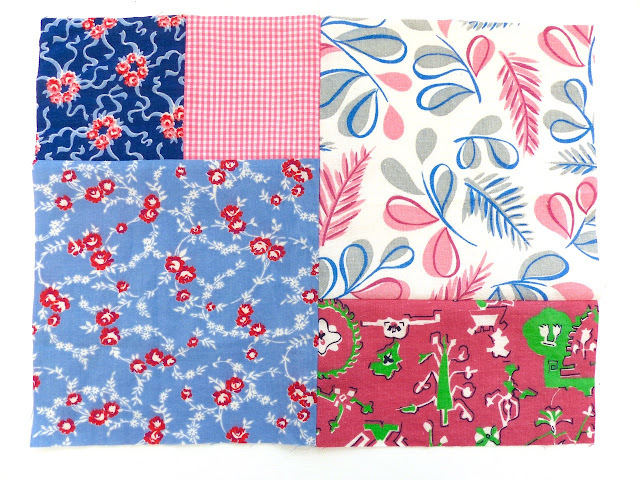 You can see the two colour ways of the cheater prints below- perfect for fussy cutting, hexagons, buttons, mirrors, all the little tiny things we like to make from Liberty lawn. 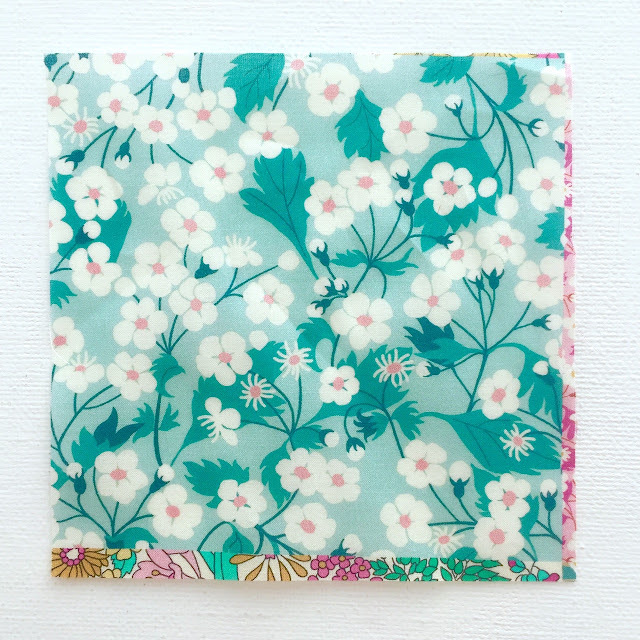 As always, the fabric is beautiful quality, finely woven, silky soft, 137cm/54" wide and the colours are gorgeous! 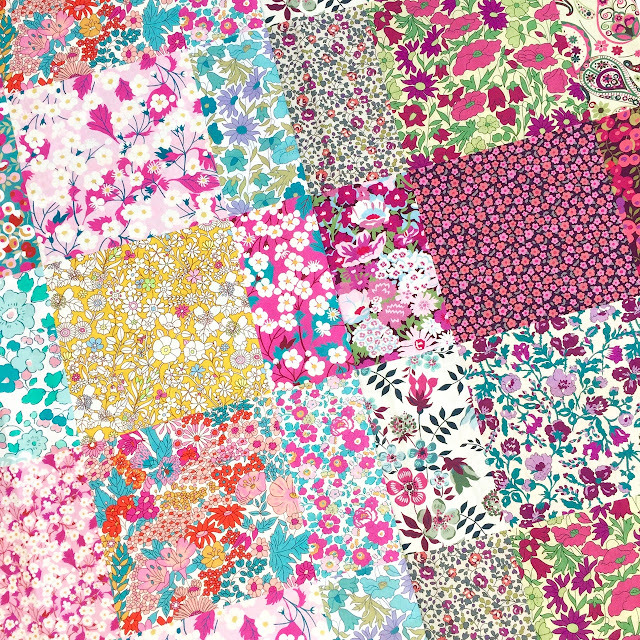 "Alice has spent years of searching rare colourways of Liberty whilst on several visits to Japan. Her collection has been inspired by colours that just aren’t available further afield. Designing the collection was great fun - Alice spent hours looking through the Liberty archive books which is an honour and very rare treat. Whilst hunting in these archives she found her favourite retro ‘Wiltshire’ fabric and took the colour theme for the collection from this, coupled together with a mint colour theme which is really popular in France. 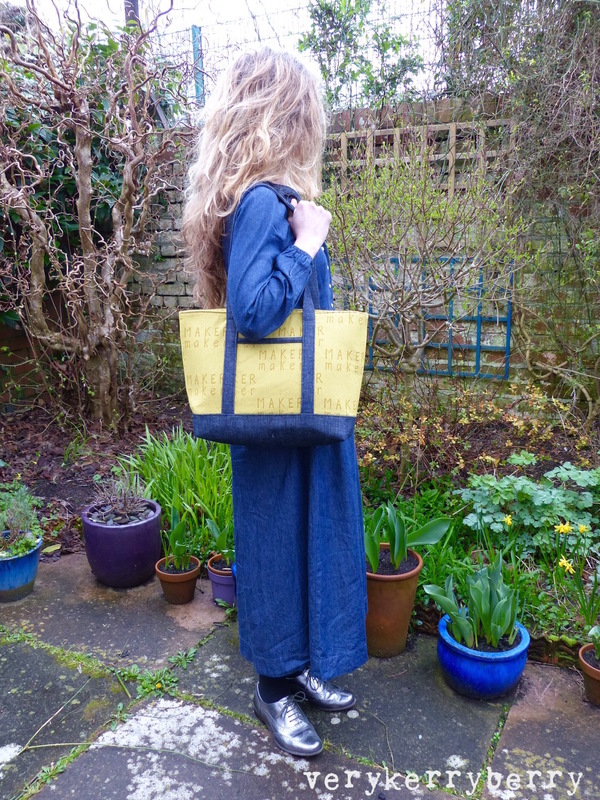 Alice is delighted with the end result: a beautiful exclusive new collection." The basic snowball construction principles can be seen in the numbered square below. Each white square (Kona Snow) has triangle corners added using print squares. I used 1 ¾" squares but you could go between 1"-2" for differently proportioned stars. Drawing the diagonal lines on the reverse is much easier when you use a board covered with fine sand paper - I use an old notebook with a large square of sand paper stuck on top. I planned my layout so it has a scrappy but not chaotic look. It's easy to sew the blocks together as each snowball is paired with a print square, no seam matching required! 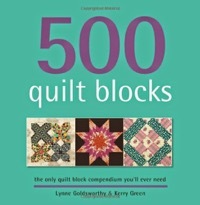 The quilting is a mix of machine stitched 50wt Aurfil and hand stitched 12wt, both in shade 2021, Natural white. Alice Caroline have got a lovely giveaway for you- half a metre of each of the cheater colour ways so a metre of lovely Liberty in all- you do need to pop over by Thursday 6pm GMT to my Instagram @verykerryberry to enter. The cheater prints can be found here and here. 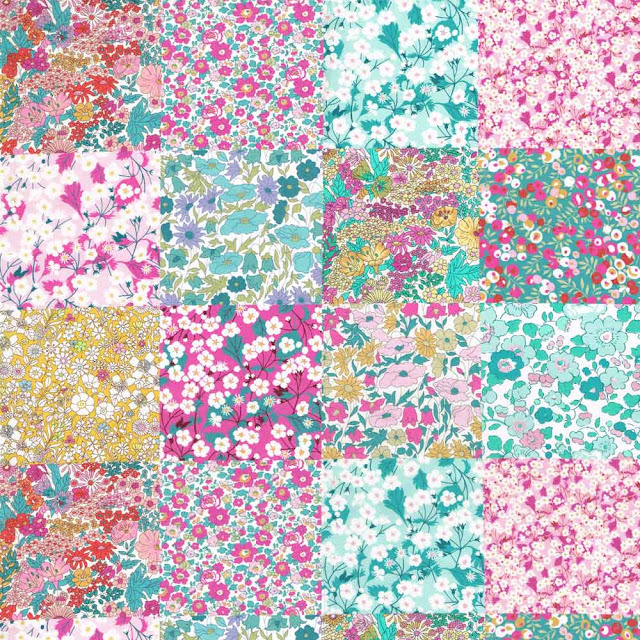 The other exclusive prints from the Alice Caroline Liberty collaboration collection (sixteen in all) can be found here. Worldwide postage is available. Disclaimer: I was sent the fabric used in the cushion cover from Alice Caroline in return for a review style blog post. 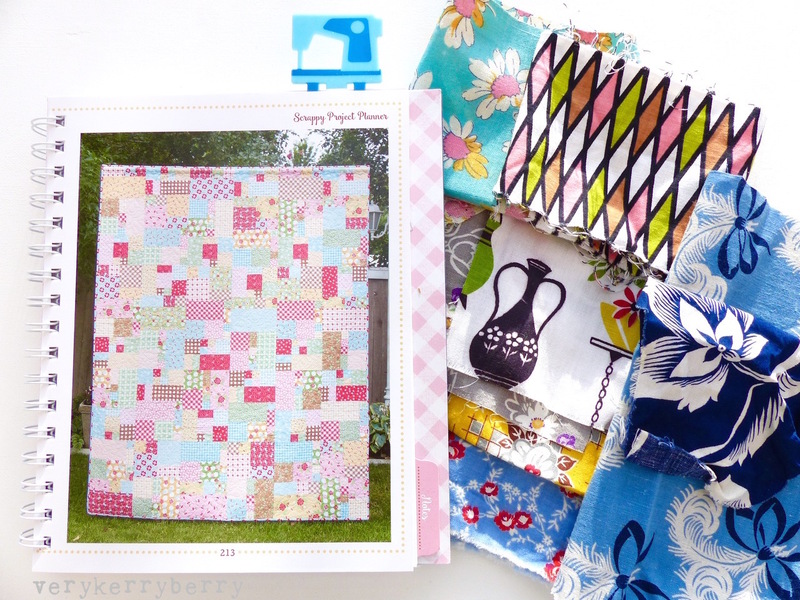 Today I'm joining in with the Fat Quarter Shop's Scrappy Planner Sew Along. I received one of Lori Holt's Scrappy Project Planner a few months back and it's a mix of project planner, weekly planner with space for you to write your own planning, and it's also an instructional book with a tips/organising section and six full size scrappy quilt pattern at the back. You can see inside it here, its 1" thick so you get an idea of how full it is! 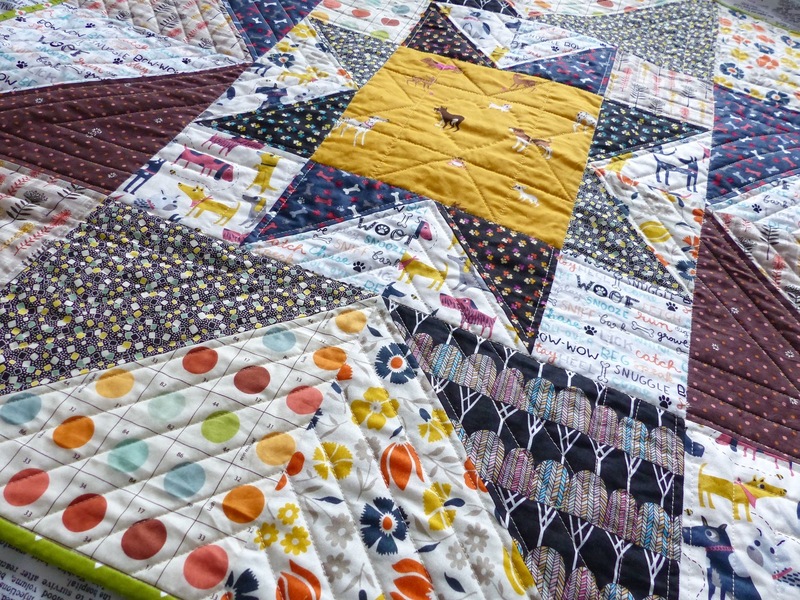 I chose to have a go at the Fat Quarter Flirt quilt which is a flexible scrappy quilt pattern which gives the look of randomness but the comfort of some blocks to follow. 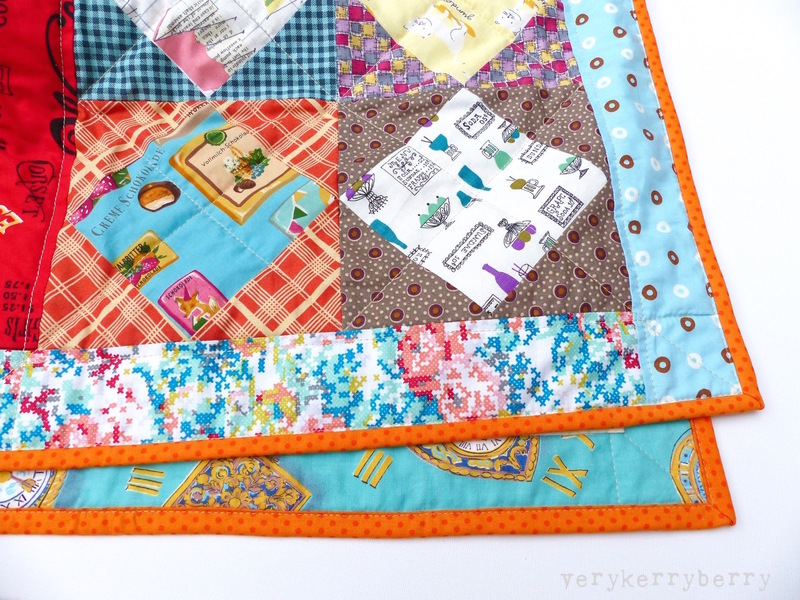 it is of course a great scrap buster- Lori is the queen of scraps! I have lots of feedback and vintage scraps, many are fro friends and are precious small pieces, so I thought I'd use them for this with an eye to a keepsake, fabric memento quilt. There are six blocks. 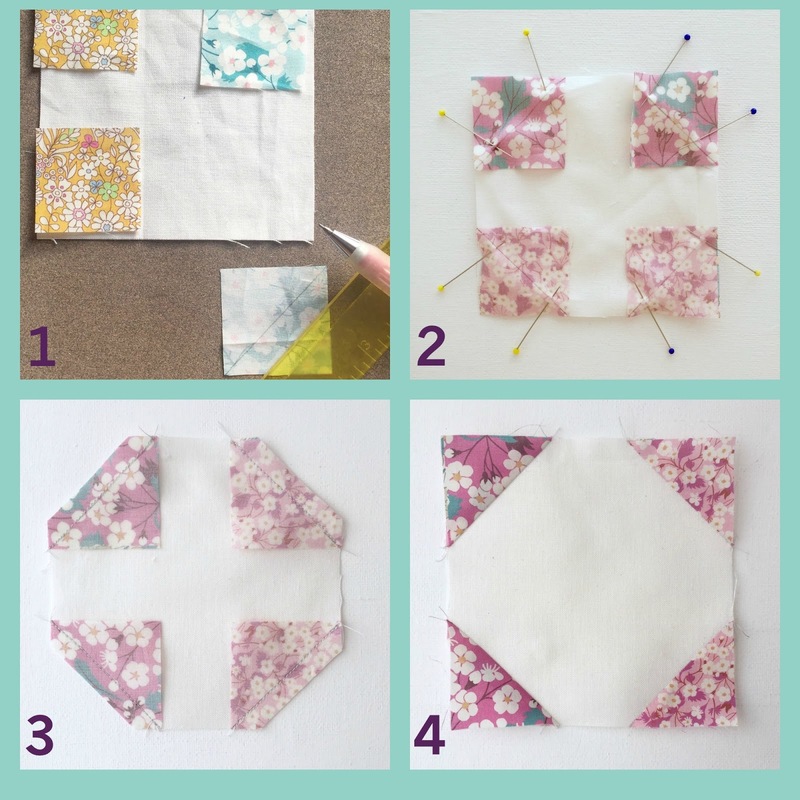 Instructions are given for either using fat quarters and efficient economical cutting, or you can just make each block from whatever scraps you have to hand. It could not be more flexible. I made five blocks; the sixth had quite a large piece on and I'm looking to use smaller pieces so I going to stick with 1-5. 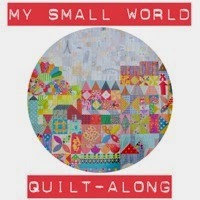 I'm going to have this as an ongoing quilt, something that I turn to for time to time, especially in between other projects as an easy, low effort sew. 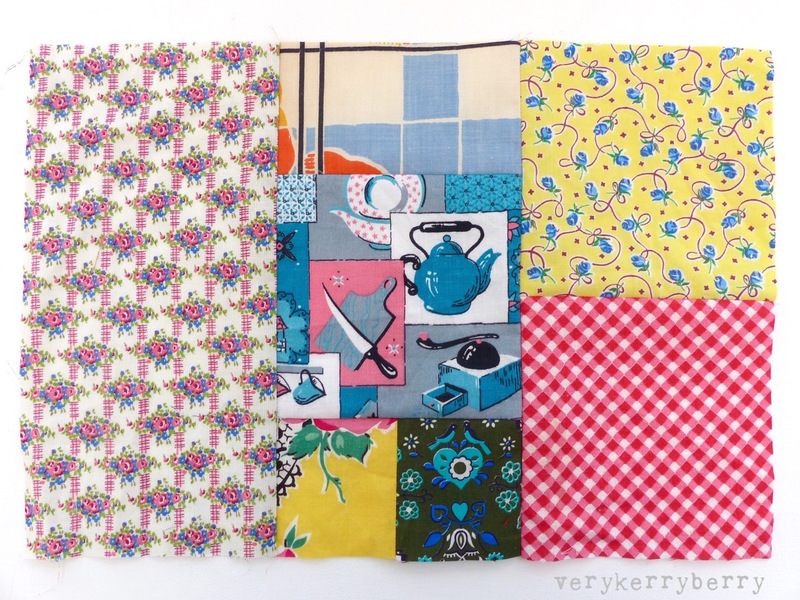 You could easily substitute in extra strips and squares if you want to make blocks fit together differently from the suggested layout and I think its going to make a delightful, vintage hotch potch of prints! 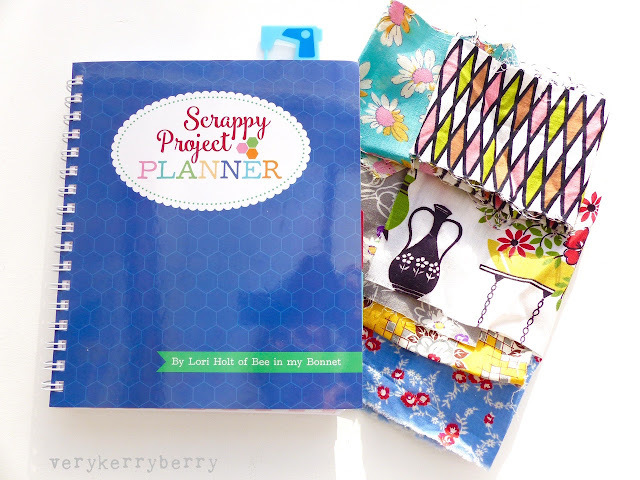 You can see related quilts, sewalongs etc on this hashtag #scrappyprojectplanner and check in with the Jolly Jabber to see other's who have been playing with this block. This quilt is my second take from the Making a Quilt 10-part series I wrote for The Sewing Directory. 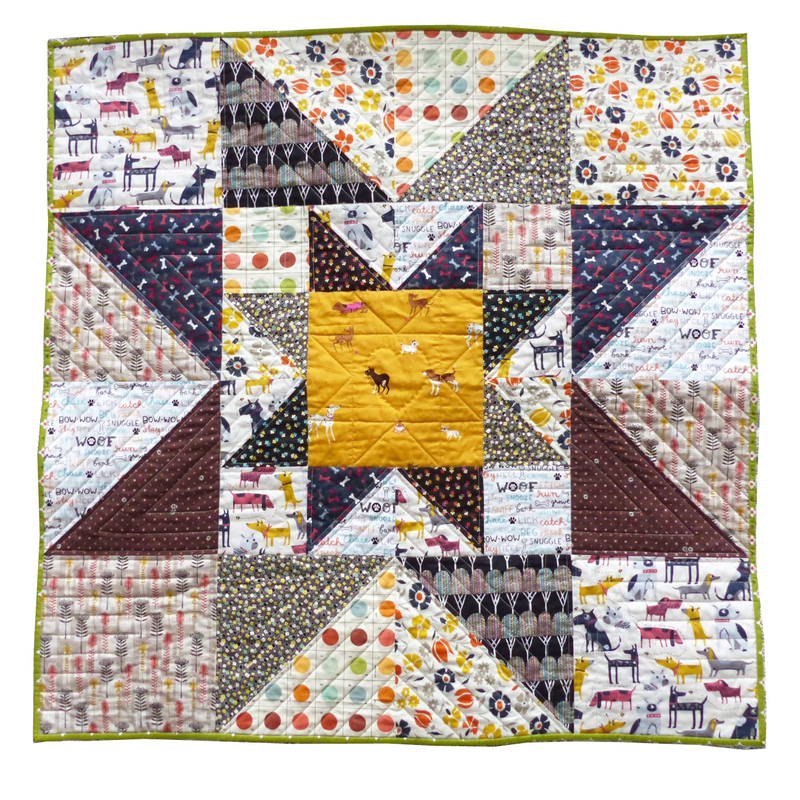 Fiona and Julie ran a Simple Sampler quilt along and I couldn't resist another version. This is from my scraps with the occasional raid on a half used fat quarter. 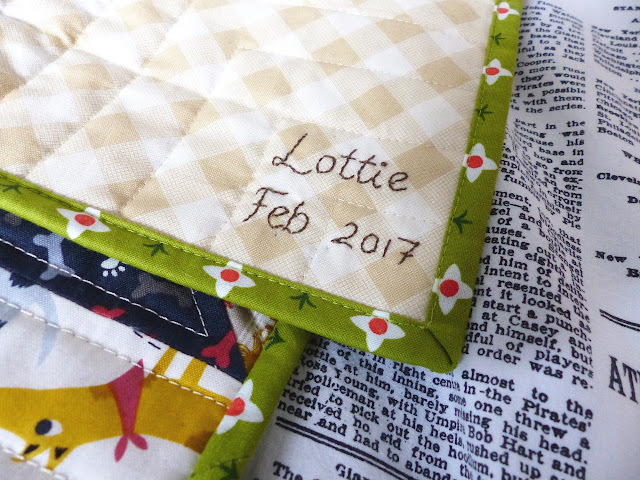 The binding and backing were from my stash so nothing new was purchased. My nephew claimed it part way through the process and he happily had it for Christmas. 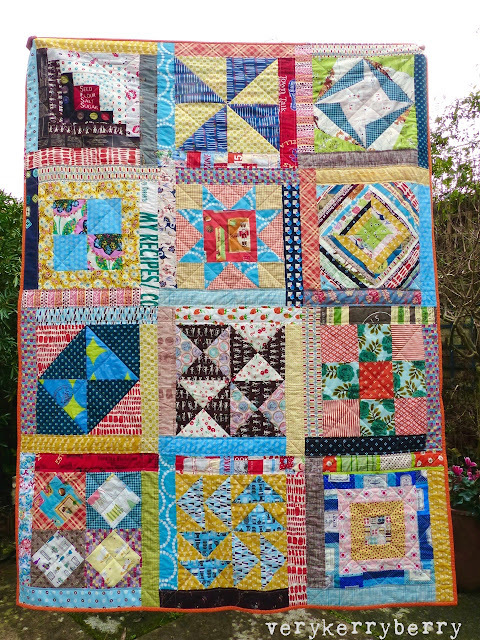 Seeing other people make the quilt was such a thrill, looking at the different fabric combinations or block interpretations, the sashing and border choices, such variety! 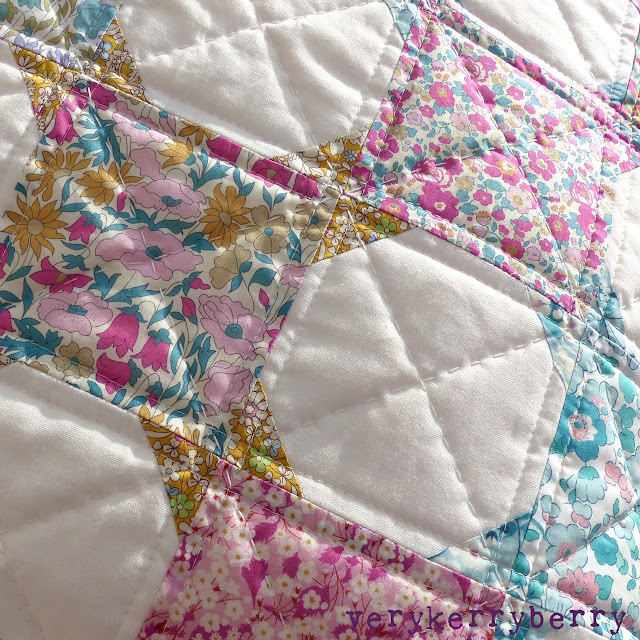 To create a slightly larger quilt than the original, I used wider sashing and partial seams which creates the log cabin effect around each block - tutorial here. All the other construction techniques (blocks, binding, basting) can be found here. Check out #simplesamplerqal on Instagram and take a look at the different versions. The Village Haberdashery has well and truly moved into it's new premises in West Hampstead and had it's launch weekend. The shop looks amazing and has expanded to include lots of other crafts and gift ideas, quite the destination retail experience! Of course, there are new arrivals to fill those new shelves, so let's take a look for March! I've included a large range of substrates, colours and textures and some bargains too. Intermix dot weave in indigo. I love the look of the new Intermix fabrics, they all feature different weave effects creating subtle patterns which I can imagine as scarves and garments. 110cm/44" wide. Peppered Cotton, Peacock, Extra Wide. These really are super wide at 108"/274cm. described as a little heavier than other shot cottons (warp and weft threads are different colours, giving the colour depth and drama. Useful for quilt backs, garment making (think heavier chambray), bags, cushions and more. Five colours currently in stock, see more here. 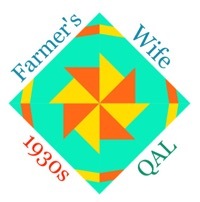 Great value and remember for dressmaking, you will need a lot less- contact Annie or Caroline for guidance. Ponte Roma zig zag in royal blue. 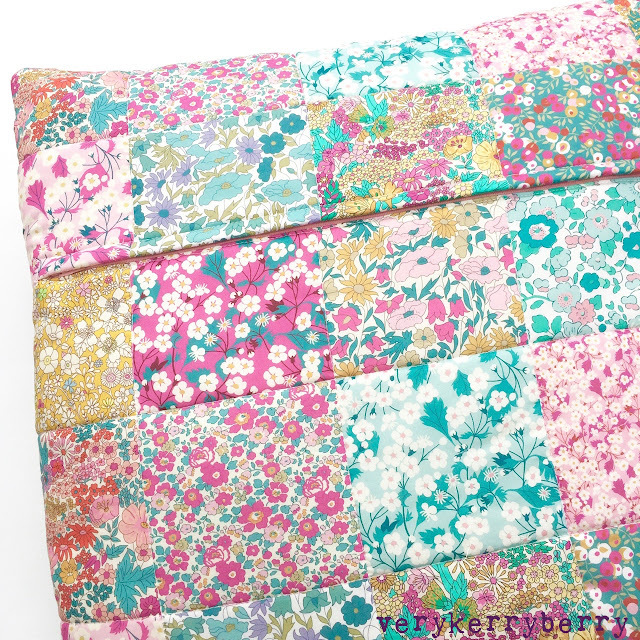 This looks ideal for the Tilly & the Buttons Zadie dress or maybe as a Grainline Morris jacket? Grainline Farrow Dress Pattern. This design has been growing on me, I see it so often on Instagram on a range of heights and body shapes and they all look great. Sleeve and sleeveless options. Kona bundle to match Around the Block. Annie and Caroline regularly put together Kona bundles to match quilting lines (this matches Skinny La Minx, Around the Block) which is handy if you want to buy the two together but bundles like this one also work well in their own right, those colours pack a punch! Sweater knit silver grey and gold. Sweater knit is hard to find so I thought I should feature this. It's a sparkly knit with stitch variation and ideal for making a top/scarf without actually knitting! This would work well with a Briar pattern. Antique linen Marine. 100% linen in the most beautiful cobalt blue. Described as having great drape. 140cm/55" wide. 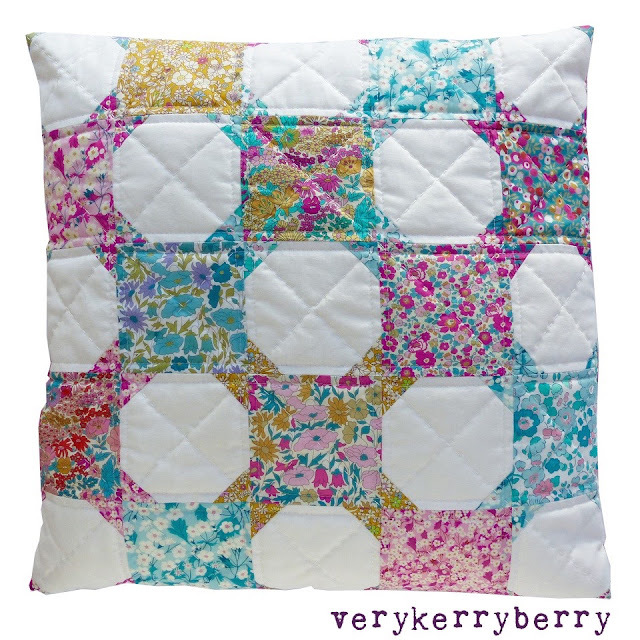 This would pair nicely with the Farrow pattern. Moving on, Lawns in Cool Blue. 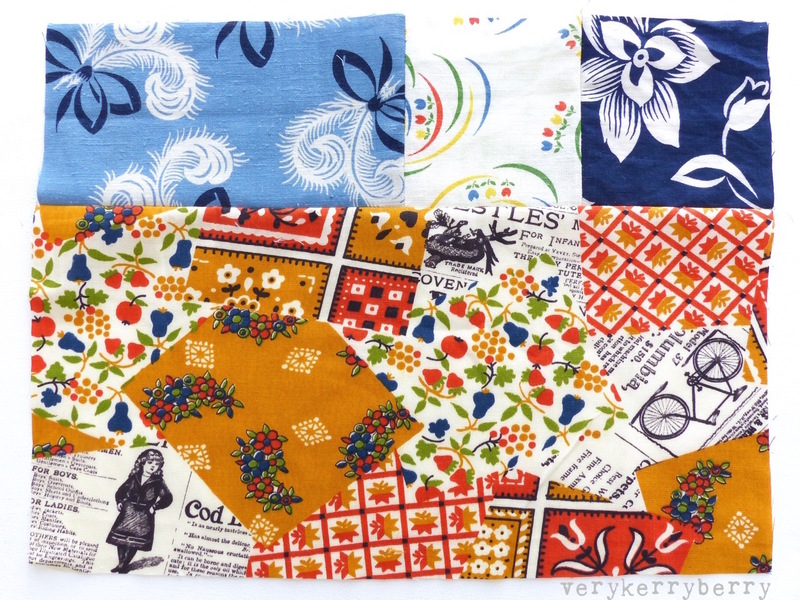 From Jen Kingwell's cotton lawn collection for Moda and currently on sale at 40% off, bargain! Disclosure: Village Haberdashery is a sponsor. 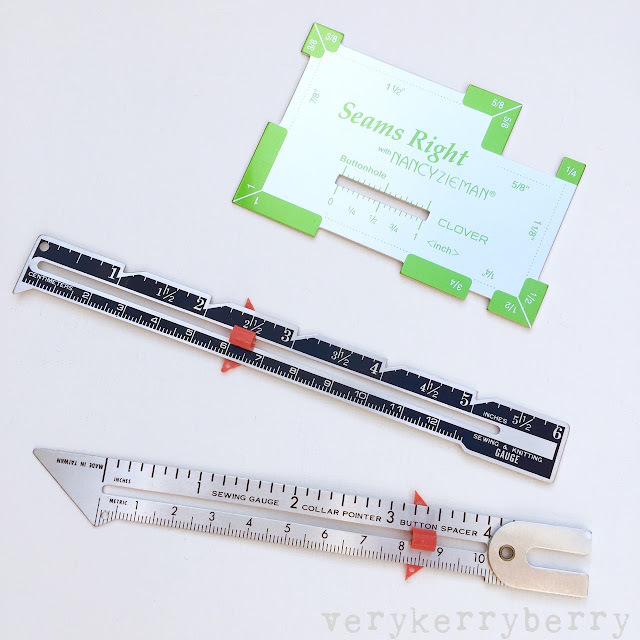 One of the most used tools in my sewing gadgets is my seam gauge. 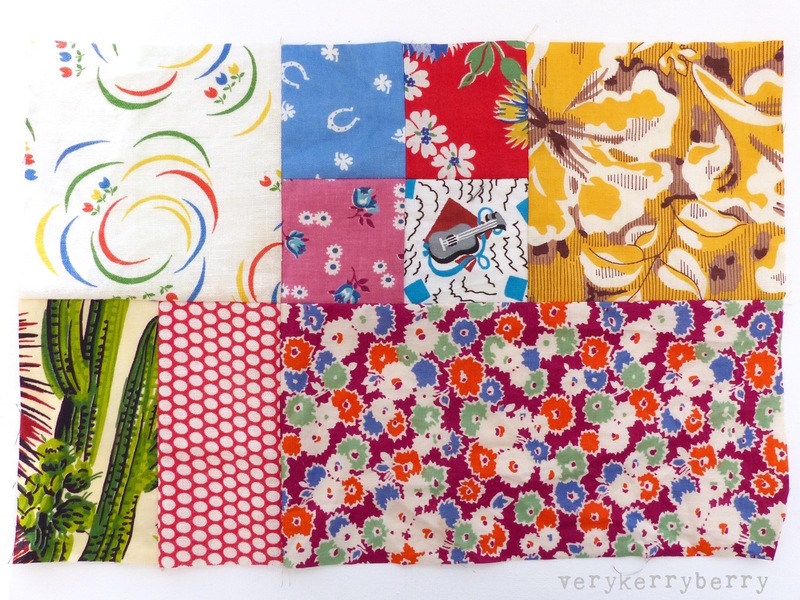 This is my current selection, including my newest, the Seams Right from Clover. They are multipurpose, for all kinds of sewing or even knitting and are handy for small measurements when a quilt ruler could be a big bulky or when you want something close to hand and easy to transport. 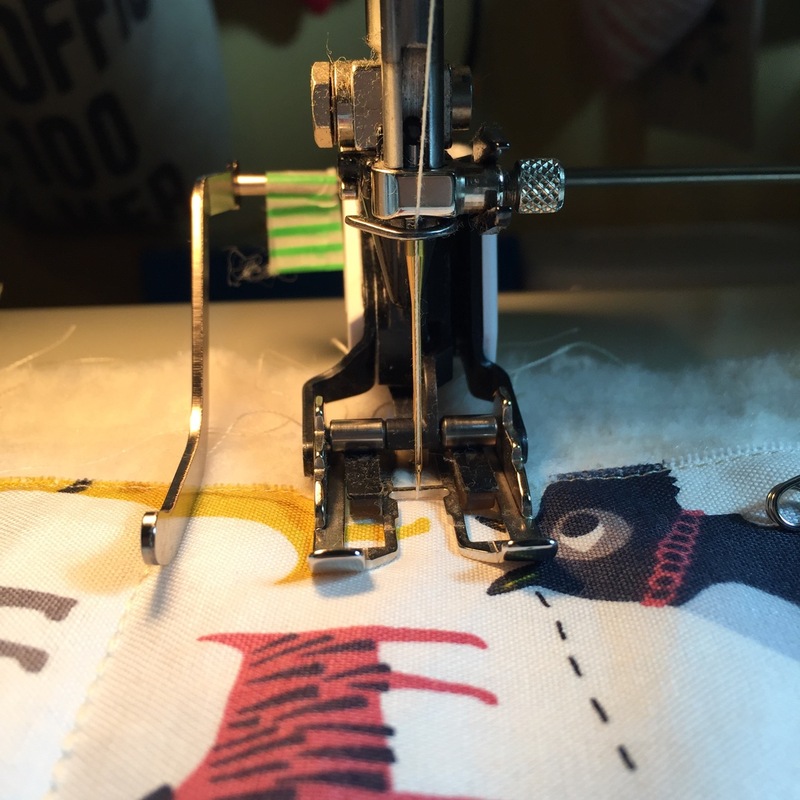 Rachel from House of Pinheiro did a brilliant post showing a plethora of uses for a sewing gauge; there;s bound to be something you've never thought of. If I was a click bait content writer, I might say, "You'll never guess what the hole is for!" and an afternoon that you thought you'd spending sewing has disappeared into an apparently endless search through 40 photos to find out exactly what it's purpose is. 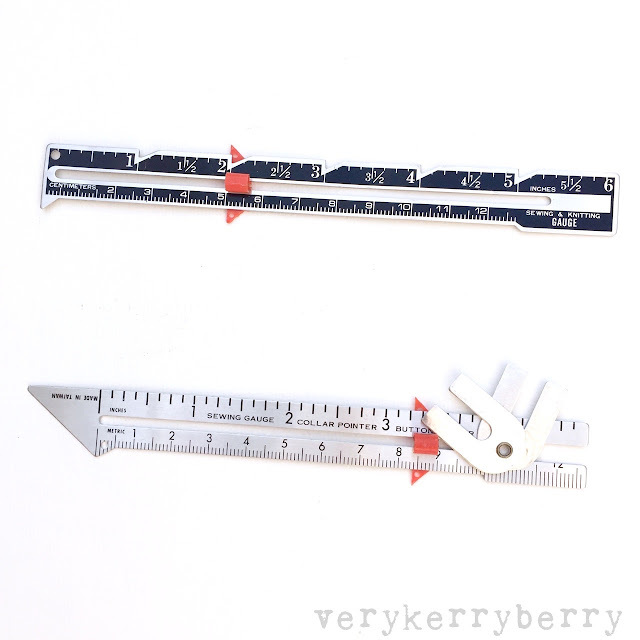 I bought the 'Seams Right' tool by Clover because I had one of these (cheap, cheerful and useful) but also unfortunately made of plastic and last seen melted under my iron with rather devastating results for the soleplate. So this is a sturdier metal version, a bit like a mini version of the Dritz Ez-y hem. 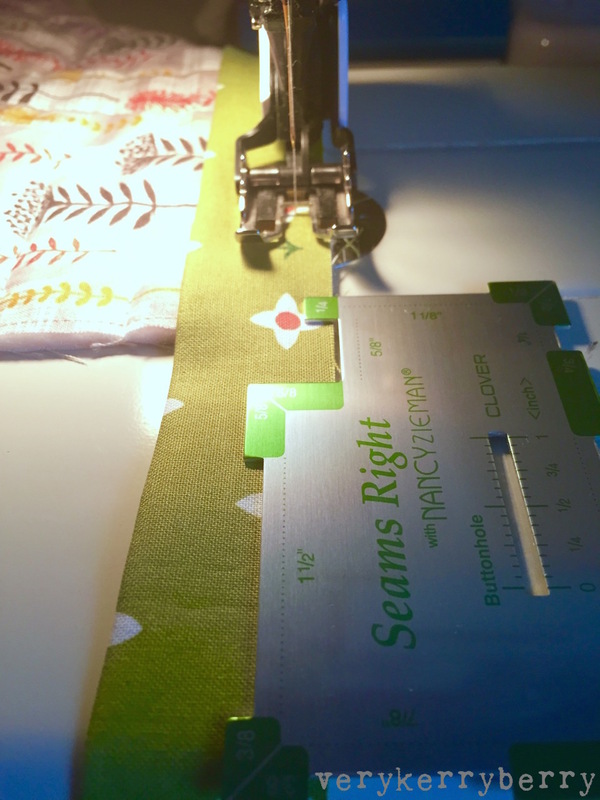 It's very handy for checking seam widths, especially if you sew for many purposes- ¼" for patchwork, ⅜" for knits, ⅝" for clothing etc and the buttonhole gauge is useful too. My first use for it was when binding a quilt- it's just right for measuring the last ¼" along an edge at the corner where you stop and mitre the binding before turing. I have an appliqué project planned and I though I'd use it a lot for that - I can eye ball a ¼" but I do like to check, either when I'm adding a scant ¼ seam or even if I'm hand quilting and sewing ¼" from a seam line. I've added links for various shops to buy online, including sponsors but they are generally widely available.